If you enjoy stories in a variety of formats (print, audio, eBook…), I’m curious; do you like to stick to one format per series/author? I read and listen to books, and I’ve found that once I begin a series in one format, I have to continue with that format for the remainder of the series. This can be slightly annoying, since if I really like a series I would prefer to read it instead of listen to it, but if I’ve started listening, I feel like I need to keep listening! I’m not so picky about authors…I will read and listen to various books by the same author, although I do have certain authors that I won’t listen to because I know I really like sitting and reading through the pages of their books. I’m not entirely sure where my stubbornness in regards to series has come from, though! It’s something that has developed over the last couple of years, since I’ve begun regularly listening to audiobooks. So what about you? Do you mix and match formats within series or amongst books by a single author? Or do you like to stick to one format per group? I think I agree, but I'd put the books out on all formats to cover all the bases. I like that you posted this. I'm fine with switching to whichever format's available. I recall listening to books 1 and 3 of the "Twilight" series, and reading books 2 and 4. I've both listened to and read many of Agatha Christie's mysteries; same for a number of series in my childhood. 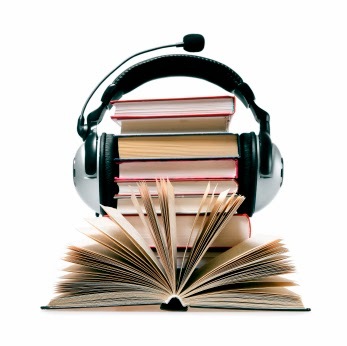 Nowadays, my first preference is reading, but if the audiobook is narrated well, I'm game!